As the jazz guitarist came off a hectic tour of the Pacific Northwest, Reverb was fortunate enough to get a moment with Mimi to ask about her early inspiration, gear, practice habits and a few of the music icons she has played with. When did you become interested in music and why were you drawn to the guitar? My mom and dad loved music and had a huge record collection. My mom was a songwriter/singer in the jazz idiom and my dad had all these great old jazz records that I used to listen to as a little girl. I would play along on my mom’s soup pots, so she got me a snare drum when I was nine years old. When I was 10, I became fascinated with the guitar because of The Monkees first and then The Beatles. I pretty much taught myself how to play guitar from listening to The Beatles’ Rubber Soul album when I was 10. I would come home from school and keep playing along with the record until I figured out all the parts. I loved my guitar so much I slept with it, which was the source of much teasing from my older brother and sister. We’re a bunch of gearheads here at Reverb, so I have to ask you about your early instruments and amplification. Can you give us a brief history? I am the complete opposite of a gearhead … gear-challenged? My first guitar was a little nylon string number with strings about 40 feet from the frets that my mom got with green stamps. My dad got me a Sears Silvertone a few years later and I enjoyed it, but really, I am an acoustic-oriented player. My first really good guitar was a 1970 Guild IF 30, which I still have today and love very much. It has a warm, and yet bright tone, that makes it beautiful to play and record with. 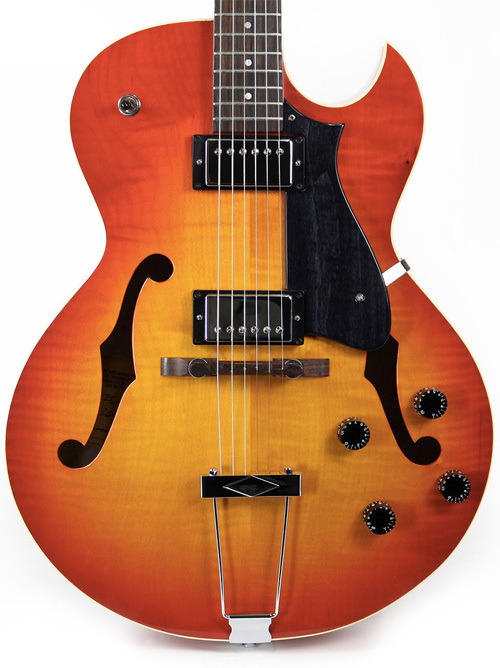 My first good hollow body was a Gibson 175 that I purchased when I first moved to California in 1980. I also still have the original vintage ‘70s Fender Deluxe Reverb amp and I do love this amp. For me, I keep the volume at about 1.5 or 2 and I am ready to go! I understand you’ve studied with Bay Area guitarist Bruce Forman. What was his approach to teaching and how did it help your playing? It was exciting for me when I heard Bruce play for the first time because I had been searching for a musical direction. I had played many styles of music, from classical guitar to drums in a funk band. When I heard Bruce – that great mixture of bebop and blues played with tremendous energy and fire – I knew that was what I wanted. I actually only had a handful of lessons with Bruce over the years, but they were great. Bruce was very supportive of my talent and that meant the world to me. He also taught me how to listen to jazz and got me into transcribing solos, which was a huge turning point for me. How do you divide your practice time when you’re not touring? Sight reading, transposing, arranging chord melodies, creating original compositions, etc? I do everything you have mentioned here! I probably spend the least amount of time on my sight reading, which would explain why it lags. I do love to pull out the repertoire of Bach, Vivaldi, etc., and try to keep my chops up with that, which does help my reading. I also still have a drum kit and spend time working on grooves and odd meters. I probably spend most of my time writing new pieces and working on arrangements of solo guitar pieces. How important do you think it is for guitarists to learn ideas from players who play other instruments, like sax, for example? I think it is critical to spend time studying other players’ solos because they will be more challenging to learn if it’s a different instrument than your main one. Also, for jazz, there are so many great sax, piano, trumpet, etc., solos that are part of every jazz musicians lexicon. I have even transcribed drum solos by Elvin Jones, Art Blakey and Max Roach. You’ve played with some legendary musicians. Tell us about playing with Kenny Burrell. Who else was on that gig? 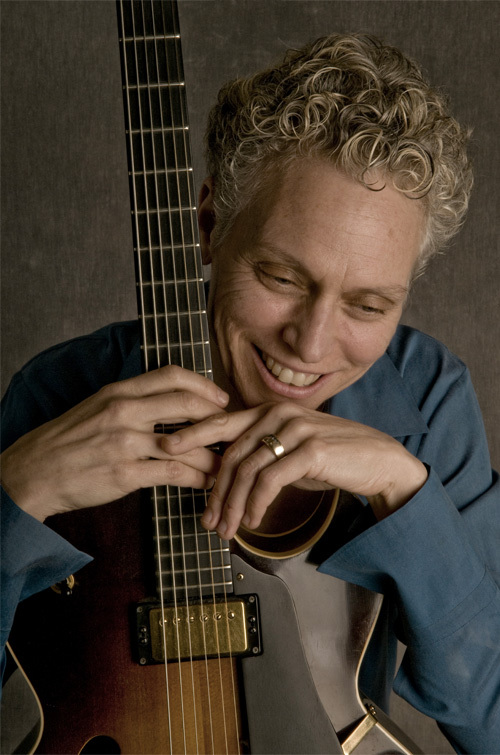 I have played with Kenny numerous times because he is also a Heritage Guitar endorser. We played together along with Henry Johnson, John Sebastian and others as part of Heritage Guitar showcase concerts at NAMM. You’ve also played with Stevie Wonder. Can you please tell us about that? Years ago, my manager Ed called me and said he had an interesting gig for me. He prefaced it by saying: “I know that you don’t like to do opening acts but you might want to reconsider in this case.” I asked him who I would be opening for and he said Stevie Wonder. This was a private concert held at the Santa Clara convention center for a big high-tech firm in the Bay Area. It was quite memorable for me, of course, and, in this instance, I accepted the offer for my trio to open for Stevie! You have an endorsement deal with Heritage Guitar Co. How does the Mimi Fox Artist Signature differ from the standard Heritage H-575? My Artist signature model has a carved spruce top, curly maple body, common double Duncan vintage pick-ups. Ebony unbound pristine fingerboard, ebony pick garden bridge, gold-plated hardware and a beautiful unusual honey-colored finish. The other specifications are similar to the classic H575. What guitar/guitars do you bring on tour? I usually travel with my road warrior, which is my Heritage 575 that served as a prototype for my artist signature model. 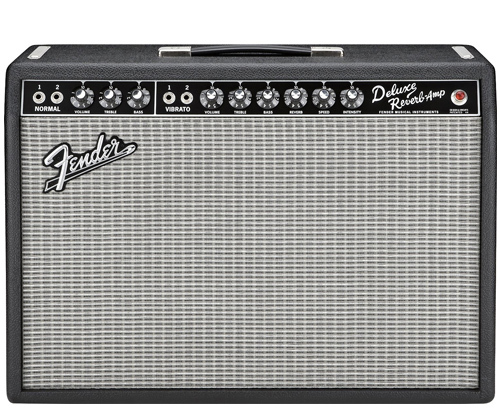 When I do solo shows, I request a Fender Deluxe Reverb, or I go into a DI box right into the sound system. 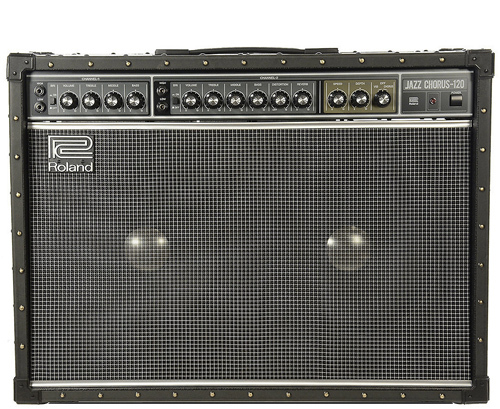 When playing with a trio or larger group, I use a Fender Deluxe Reverb or a Fender Twin. I also have used a Roland JC 120. For small shows at home, I use the JazzKat amp. Do you have any vintage guitars? I have had many builders give me beautiful guitars, but I don’t travel with them, lest they are damaged. A beauty that I have was made by Steve Saperstein and it is both visually and musically pristine. I understand you play round wound and flat round strings. Why both? I use flat wounds on my Heritage guitars, and round wounds on some of the vintage arch tops that I mentioned. 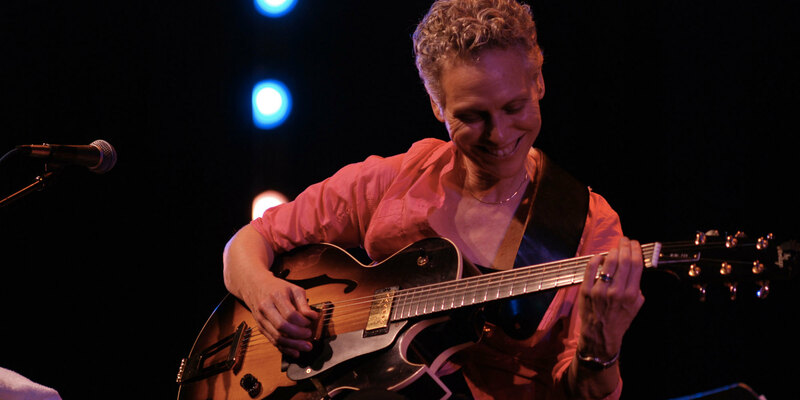 Why have there been so few women jazz guitarists? Actually, I am very heartened by all of the young women instrumentalists that I have met over the years. In addition to myself, there is Jane Getter, Leni Stern, Sheryl Bailey, Joyce Cooling, to name just a few of the fine women players on the scene today. Things are changing, it just takes time. Charlie Byrd was known for his colorful introductions on stage. Having played with Charlie, can you recall any that stand out?